Figure 4-3. Gear cover, exploded view. (Federal Specification P-S-661) and dry thoroughly. drive pulley (6) from the crankshaft. Remove key (5). Coat all machine surfaces with light oil to prevent rusting. (21), plate (22), and gasket (23). 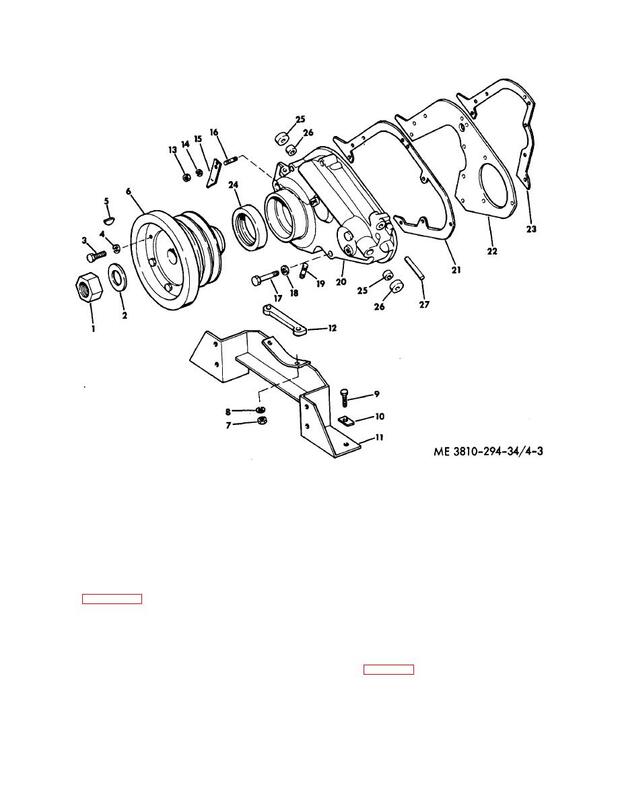 (25), bearing (26), and throttle lever shaft (27).